In the dystopian future, Manhattan is underwater. Wow, how prophetic is that? Instead of streets, there are now canals and upper class live in skyscrapers while workers and others live down below, near the canals. Magic is severely restricted and those with powers are subjected to regulated purges of their powers which sap their strength and possibly their lives. Of course, this sets up sides, with a ruling class regulating the power of those with magic, having depleted their strength. Of course, there are those with magical powers who have hidden themselves, not registering with the government and saving their powers, hiding and planning a revolt. 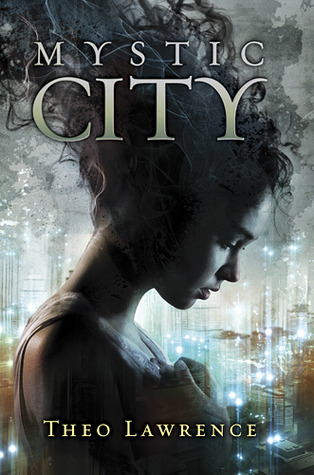 Aria, wakes with amnesia, finds herself engaged to the rival powers‘ son, Thomas, in a bid to united the city against those with magic and continue their suppression. She is living a Gossip Girls lifestyle, filled with shopping, her three best friends and a hidden romance, supposedly with Thomas, but it just doesn’t ring true. So as their families plan the wedding of the century, Aria starts to remember bits and pieces of the Romeo and Juliette romance and reconnects with the true love of her life, Hunter. He, of course, lives in the Depths and has magical powers. Oh, and his mother, Violet, is running for control of the city.